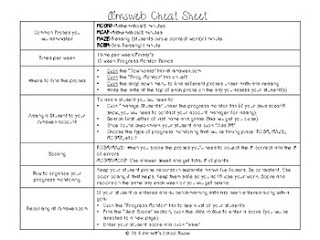 This is a sheet meant to support you in your progress monitoring with the Aimsweb program. 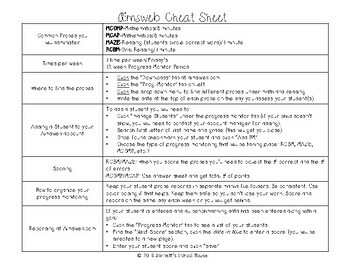 If you are new to it or used to having it around, but have never gotten the time to get to know what you need to do with it, this sheet will help you along your way. It doesn't have all the answers, but it sure helped my colleagues. Thanks for browsing!